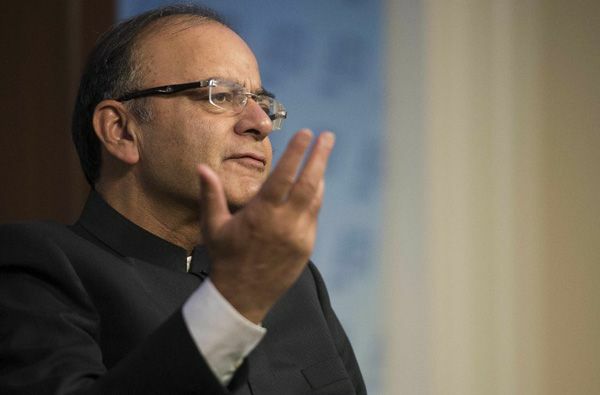 The nation's eyes will be trained on Finance Minister Arun Jaitley, who will present the General Budget for the year 2016-17 in Parliament today. The Finance Minister has a herculean task of balancing the needs of agriculture as well as the industry as the Modi-Government seeks to garner resources to boost public spending for higher growth amid global headwinds. Ahead of the announcement of the 2016 Annual Budget today, Minister of State (MoS) for Finance Jayant Sinha said, that under the guidance of Prime Minister Narendra Modi a wholesome Budget had been formed, keeping the suggestions of everyone in mind. Asserting that the Budget was a test in itself for the Centre, he added that the nation will be grading them as the Budget unfolded. Sinha also said that there are unique circumstances in every Budget and it would not be prudent to compare them. Meanwhile Finance Minister Arun Jaitley reached the North Block from where he will head to meet President Pranab Mukherjee before announcing the Annual Budget in the Parliament.